The site supervision controls quality, time and budget of the construction works on site. It represents the interests of the owner, exercises the domiciliary rights on the construction site and monitors whether the structure is build in accordance with the design, the quality stipulated in the contract as well as in compliance with the applicable codes and regulations. The site supervisor controls the interaction between the companies involved, ensures that the schedule is adhered to and represents the interests of the owner in all technical and economic matters. convex ZT GmbH acts as site supervisor for all kinds of construction projects nationally and internationally. In Austria, we are also responsible for design and site coordination according to BauKG (Law on the Coordination of Construction Works acc. to Construction Site Directive 92/57/EEC). Internationally, we take over the agendas of site supervision and construction works Health & Safety. 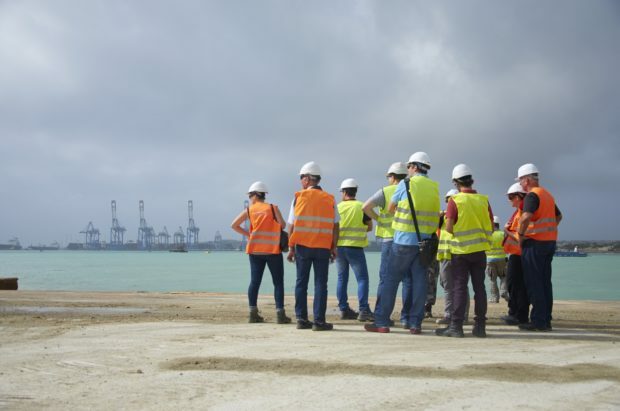 Our long-term employees have particular experience in site supervision of major international construction projects.